City Manager David Fraser is resigning, according to city documents released Wednesday morning. File City Manager David Fraser has requested a separation agreement, terminating his employment with the city. It will be considered at Tuesday's City Council meeting. Woodbury could not comment further on the issue, as it is a personnel matter. Councilman Duncan McCoy said Fraser is requesting a separation agreement in the same manner as City Attorney’s Dave Olsen. “There is some kind of an issue that some of the council members have and asked for a separation agreement … I don’t think Dave is perfect, but he’s a good man and has a good set of skills for the city,” he said. McCoy knows that two council members have talked to Fraser about the issue of his resignation, but because of the open meeting law, he cannot talk to them about it. “It should be discussed in public meeting because he works for the council collectively,” he said. At Tuesday’s meeting, council will either approve a separation agreement for Fraser or simply terminate his employment. There is also an item on the agenda to dicuss appointing an acting city manager until a new one can be found. McCoy was not sure which department head could be appointed, but it would most likely be either Finance Director Hyun Kim or Public Works Director Scott Hansen, as one other department head was being disciplined and another was transferred. The city appointed Fraser as city manager in October 2012 and finalized his employment contract with $138,200 salary plus benefits and a relocation package in November 2012. He began working as city manager on Jan. 14, 2013. According to Transparent Nevada, Fraser earned $215,835.78 in pay and benefits in 2016. His contract also allowed him to continue part-time outside consulting work as long as it did not interfere with his role as city manager. In September 2016, Fraser received a less-than-stellar job performance review when Woodbury criticized his performance saying he lacked initiative, timeliness and communication. McCoy did say that sometimes Fraser does not move as fast as he’d like, but he hasn’t done anything to precipitate this type of action. 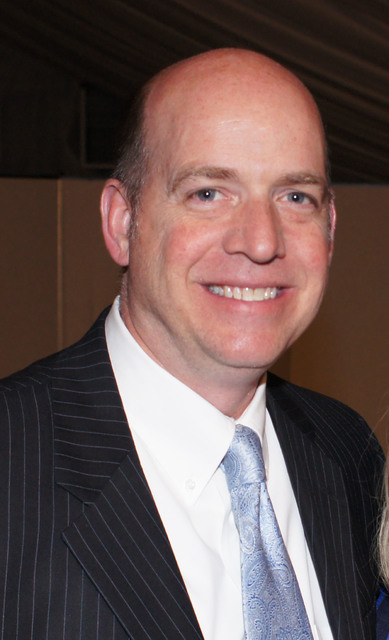 Before coming to Boulder City, Fraser served as executive director of the National League of Cities and Municipalities, working mostly as a lobbyist. Being a city manager, however, was something he had always wanted to do and had been city manager of Milliken, Colorado, Buchanan, Michigan, and Beloit, Kansas. He and his family moved to Nevada in 2002 to be closer to family. He was runner-up for the city manager position in Carson City, before he started working for the National League of Cities and Municipalities. Boulder City Review Editor Hali Bernstein Saylor contributed to this article.